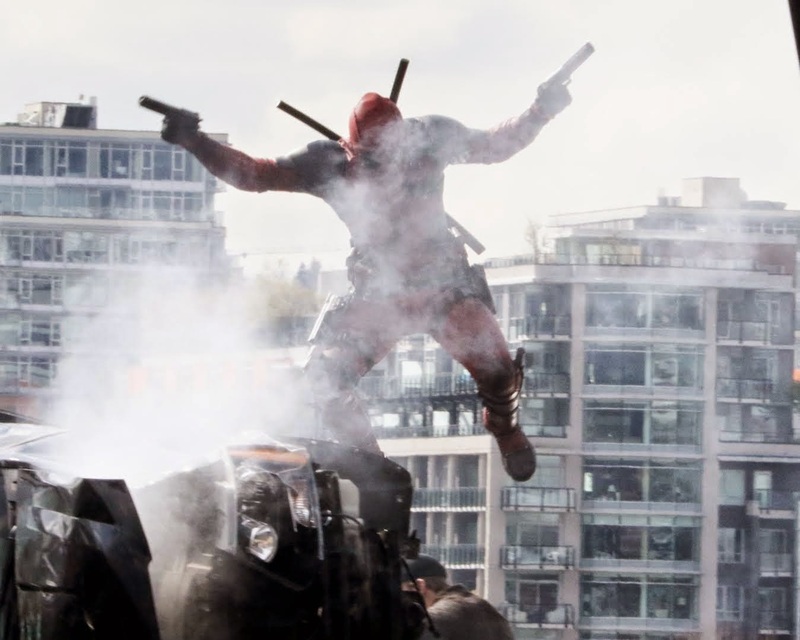 We've seen quite a bit from Deadpool in the last few weeks, and here's a bit more as filming continues on the long awaited R-rated adventure for Marvel Comic's motor mouth mercenary. 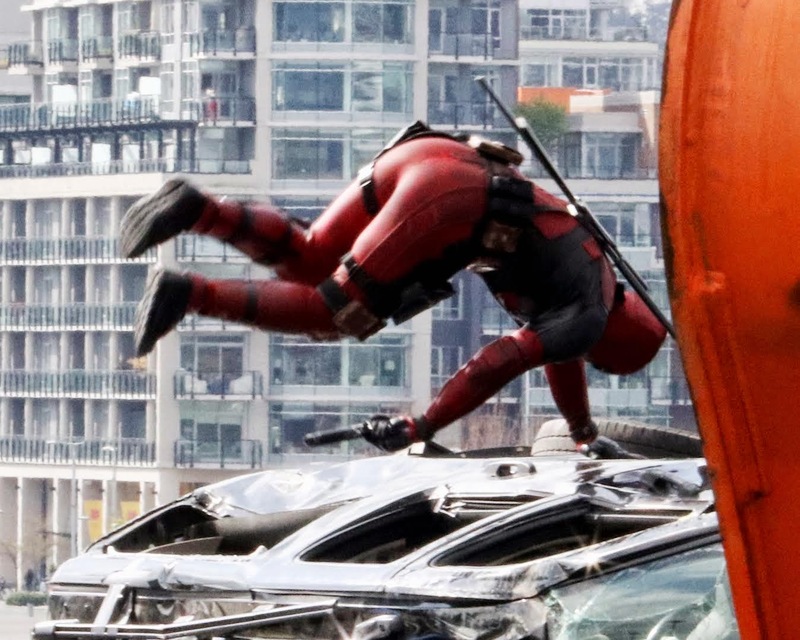 Vancity Buzz (with thanks to @pursuit23) shared with us some behind the scenes shots of Ryan Reynolds in his highly faithful costume as filming took over Vancouver's Georgia Viaduct for an action sequence that looks quite similar to the leaked test footage that put the movie on the road to the big screen. 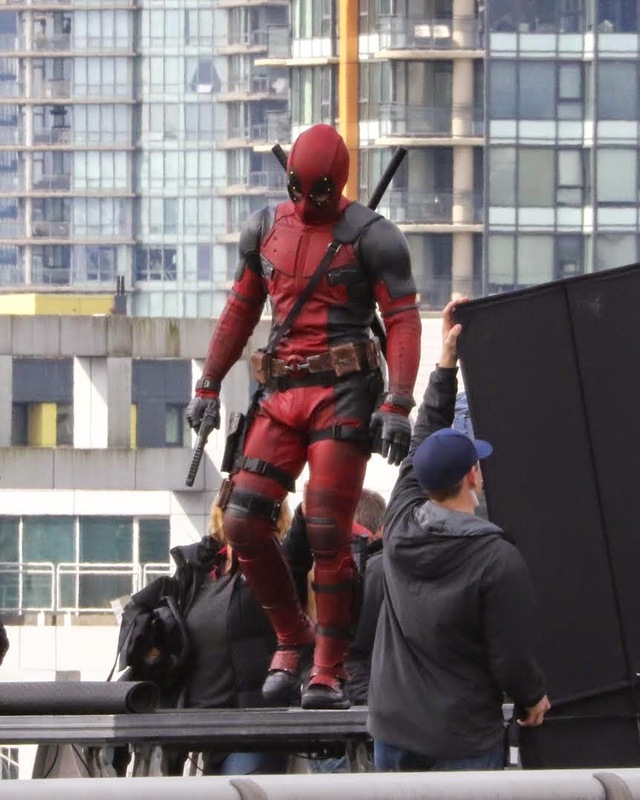 What's interesting to note is the dots around the eyes of Deadpool's mask. 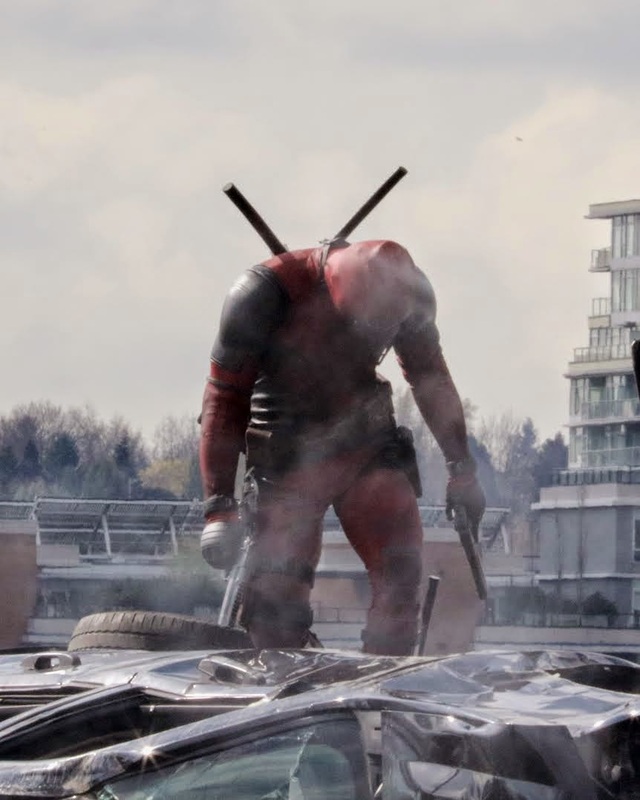 In the comics, the eyes express the bulk of Deadpool's emotions, and the use of tracking dots seems to suggest the same here, with the movement of the eyes being put in later using CGI. I love how much this movie is sticking to the source material. This could possibly be the most faithful comic book adaption yet.